There is a lot to be proud of as a resident of Northern California. In 2012, Bloomberg Business Week declared San Francisco the Best City in America, citing its top score for education as well as praise for the arts scene, the beautiful scenery, and air quality. However, San Francisco and other North California cities also made a less brag-worthy list — Terminix’s cities with the biggest increase in bedbug infestations (San Francisco is #12, Sacramento is #1). Renters have borne a substantial portion of the bedbug crisis and our San Francisco bedbug law firm helps tenants fight against landlords who ignore the problem of bedbug infestation. 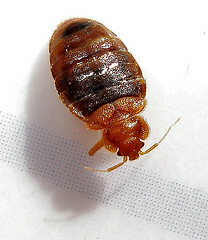 As detailed in a Fact Sheet assembled by the California Department of Public Health, bedbugs are parasitic insects that range from 1/16 inch to ¼ inch during their ten month life span. They cannot fly so the bugs either crawl or are carried between places. Bedbugs feed on blood, including human blood, and usually feed during the night. Although they do not transmit diseases, their bites can leave behind large, itchy welts. The initial bite is usually painless, rarely waking a sleeping person, and it can take several days for the reaction (an immune response) to appear. Often, the first signs of a home infestation are the welts on the family’s skin. The bugs themselves are usually found where people sleep or rest. Residents of infected dwellings may also see small bloodstains on bedding, the result of a bug being crushed after feeding. Eliminating the infestation can be difficult and the use of a certified pest control professional is typically recommended. In many cases, California landlords are responsible for keeping a unit free from bedbugs. California Civil Code Section 1941.1 includes a basic list of characteristics needed for a property to be considered tenable. Subsection (a)(6) specifically provides that a property must, at the time the lease begins, “free from all accumulations of debris, filth, rubbish, garbage, rodents, and vermin.” Further, the law also includes an “implied warranty of habitability” that is read into every residential lease and provides that landlords must repair conditions that arise during the lease that then render the unit uninhabitable. There may be some exceptions allowing the landlord to add the cost of removal to a tenant’s bill when the landlord can prove the tenant brought the bugs onto the property. Tenants may also be able to rely on other legal sources for a landlord’s duty to keep a unit bedbug-free. This can include local housing and health codes.